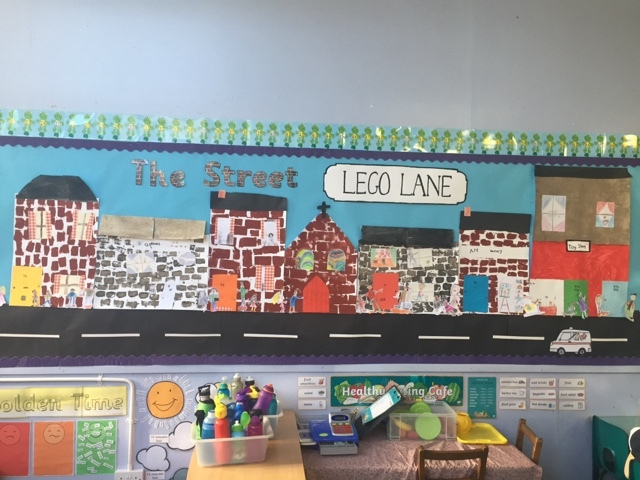 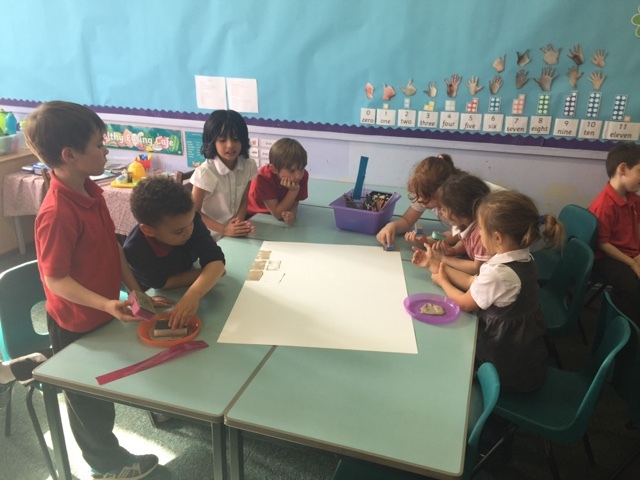 The development of Lego Lane has provided P2B with many exciting interdisciplinary learning opportunities. 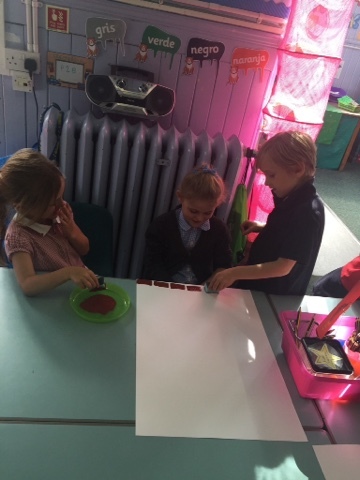 We have worked amazingly well in our street families and have approached new problem solving tasks with great enthusiasm! 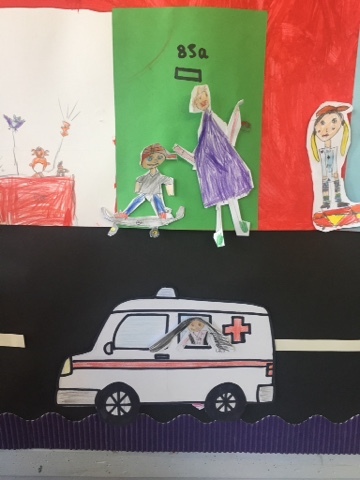 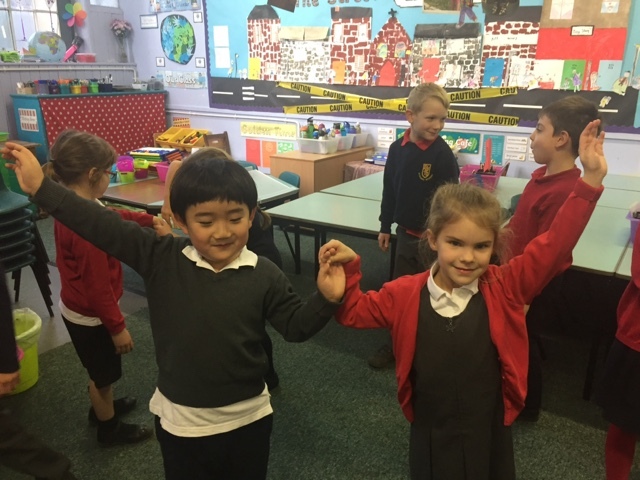 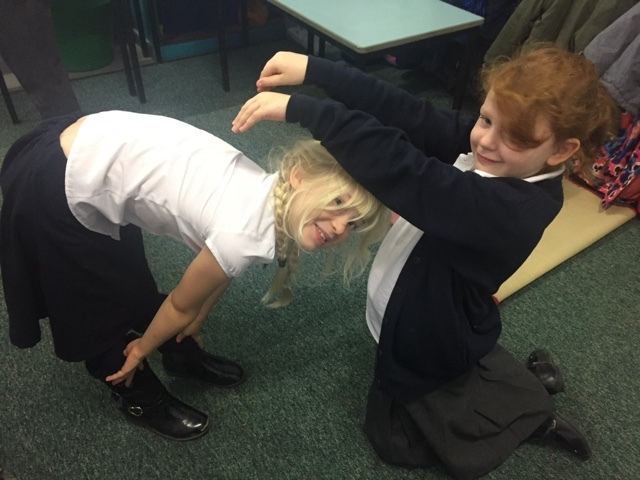 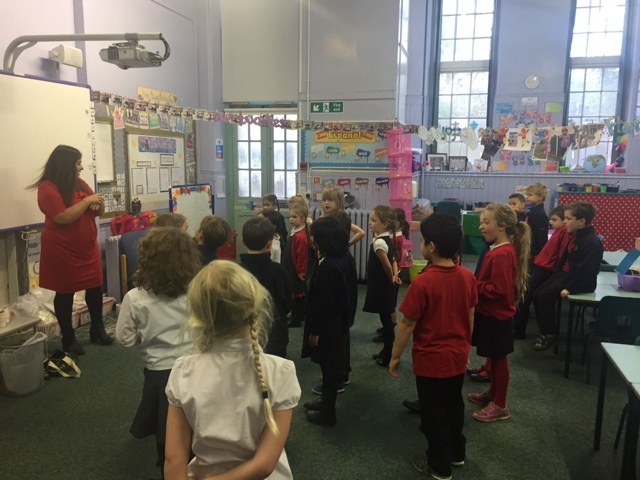 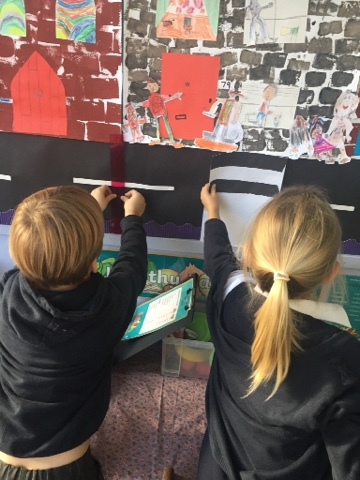 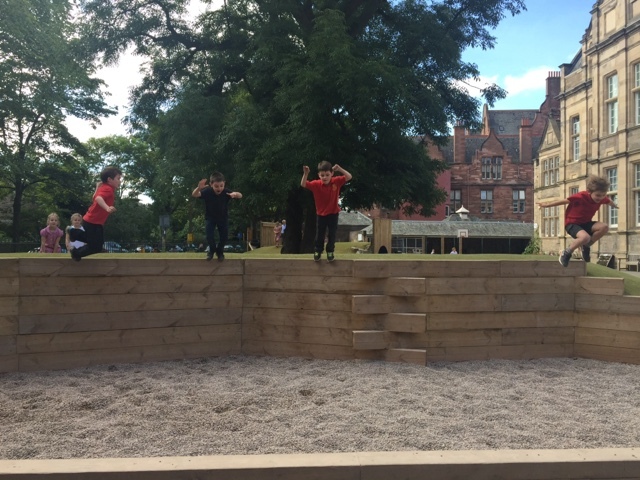 We have worked together to create new buildings and make our street safer, we also enjoyed exploring emotions, expressions and relationships during a drama lesson taught by George’s mum! 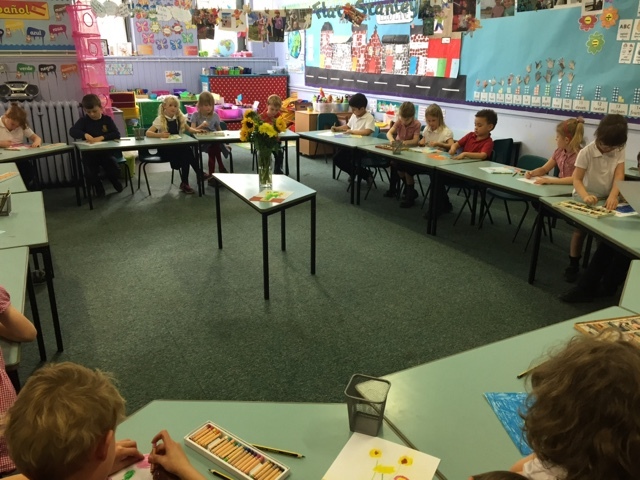 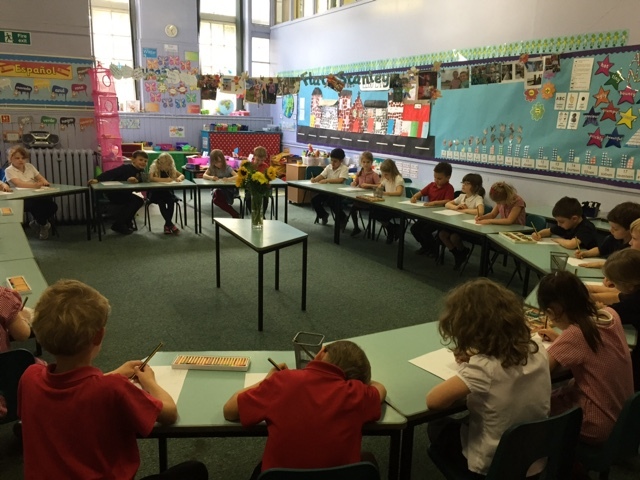 We enjoyed focussing our art skills in P2B, inspired by Van Gogh we created beautiful still life pictures of flowers. 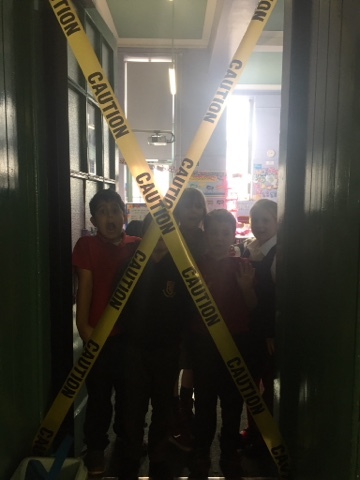 We hope you enjoy seeing them on display in the corridors. 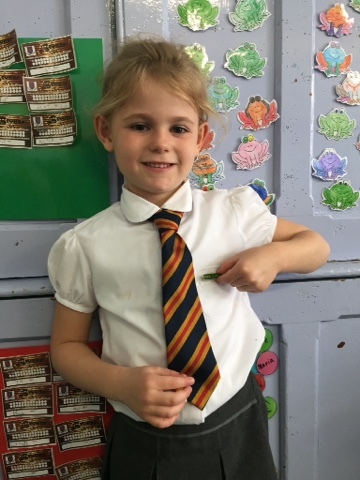 A huge well done to Evie on being voted our pupil council member! 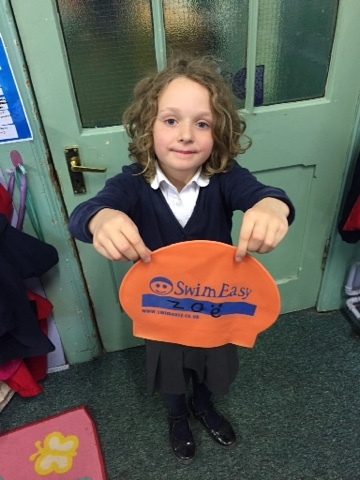 Zoë proudly shows us her new level of swimming cap and Connor was awarded a new Scouts pet badge! 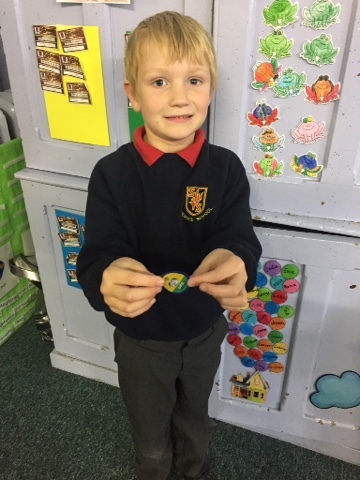 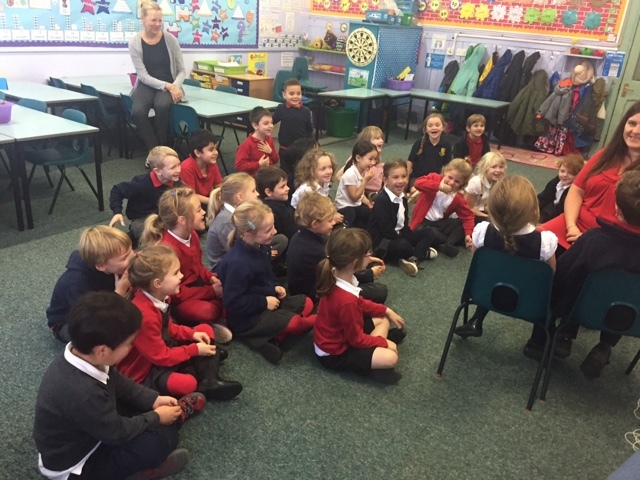 We were really lucky to have George’s mum from P2B join us on Wednesday morning. 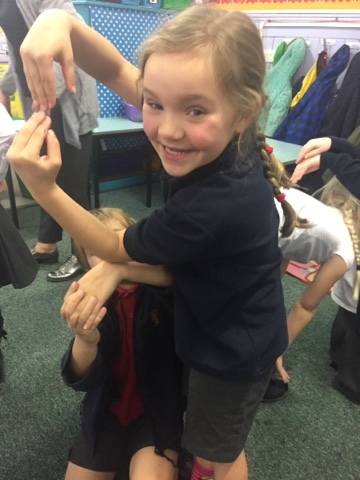 She helped the class act out lots of scenarios using Our Street characters. 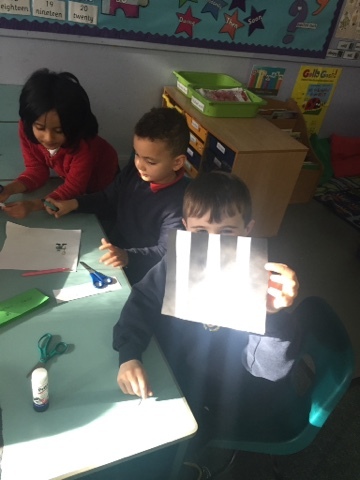 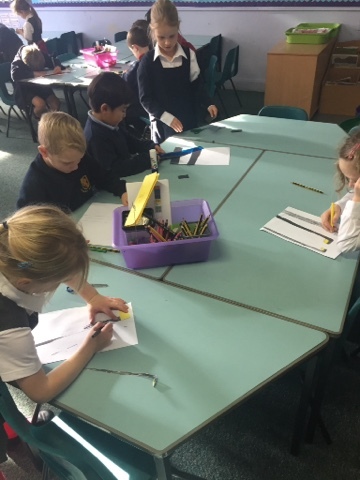 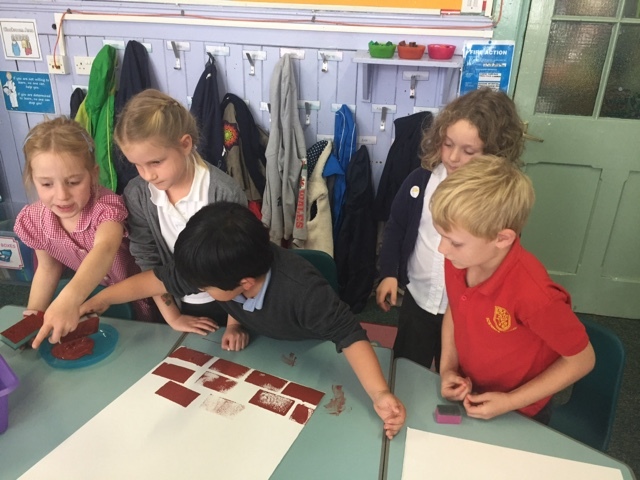 We really enjoyed making letters with our partners – can you guess any of them? 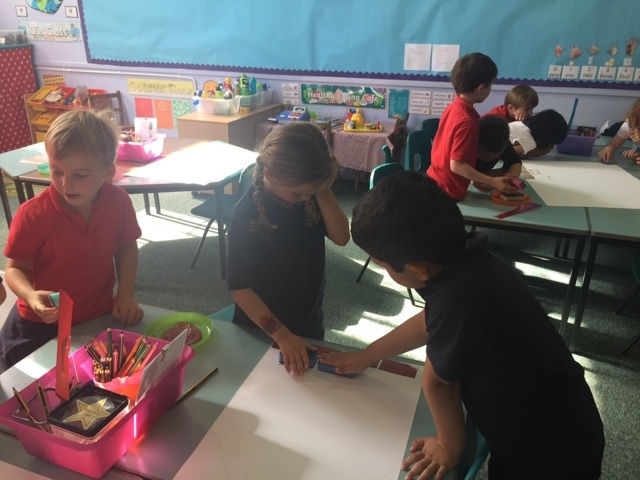 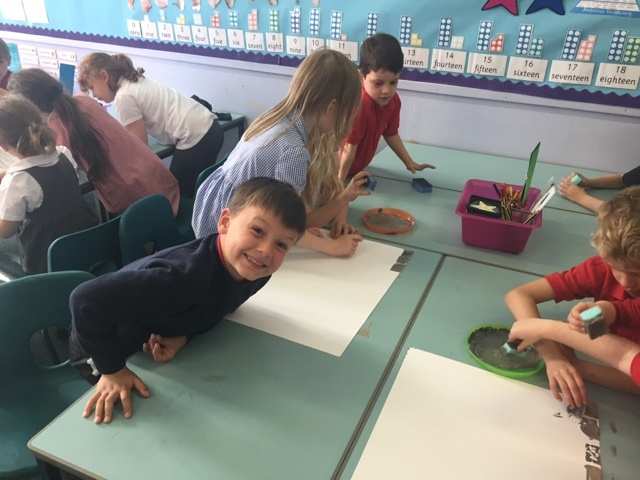 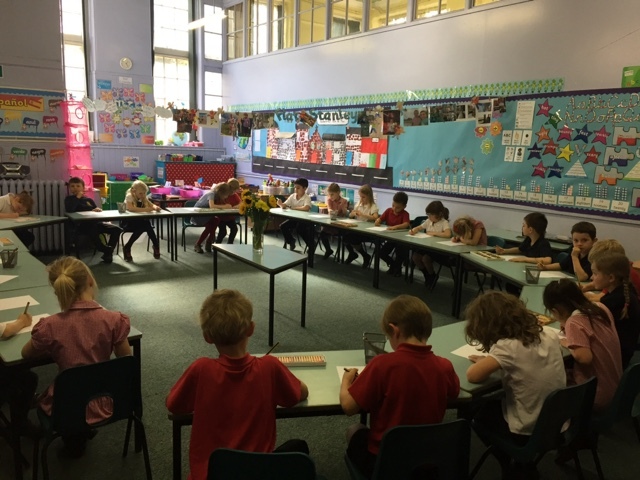 P2C were really excited to hear that their P5 buddies were going to visit them this afternoon. 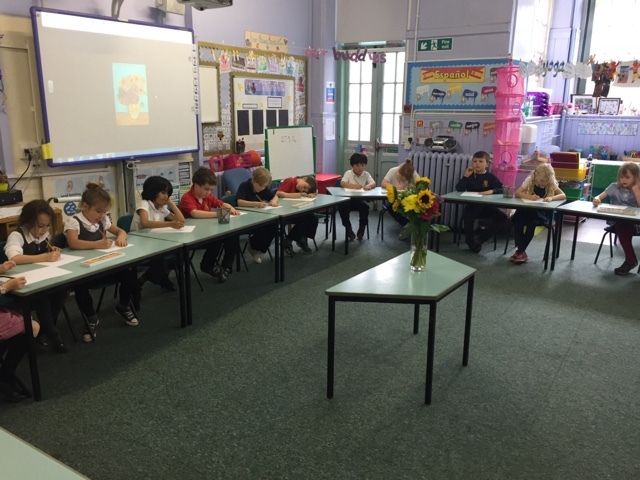 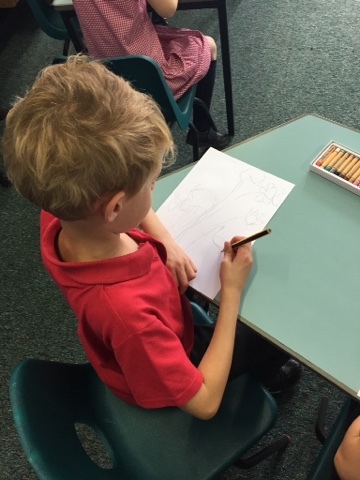 The P5s had written some Flat Stanley stories for the P2s to listen to. 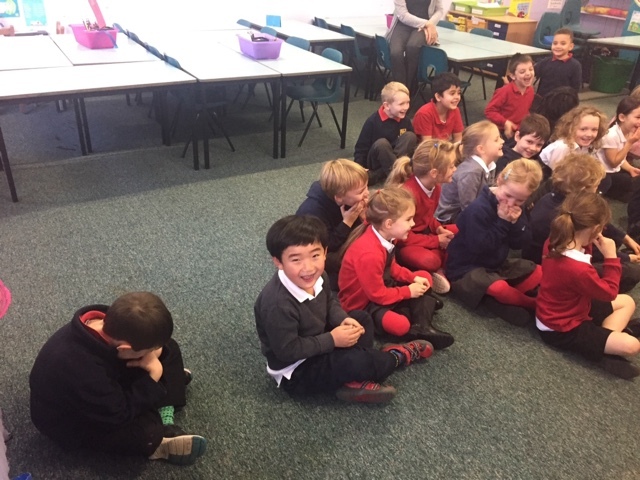 We really enjoyed hearing all about Stanley’s adventures. 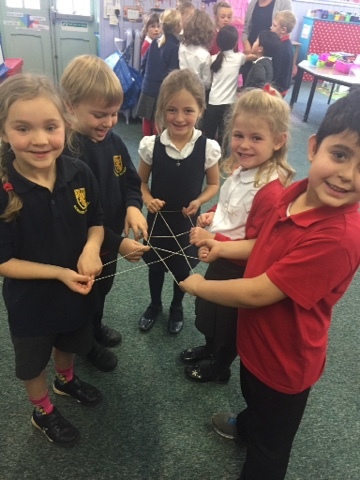 There was even a bit of choosing time afterwards! 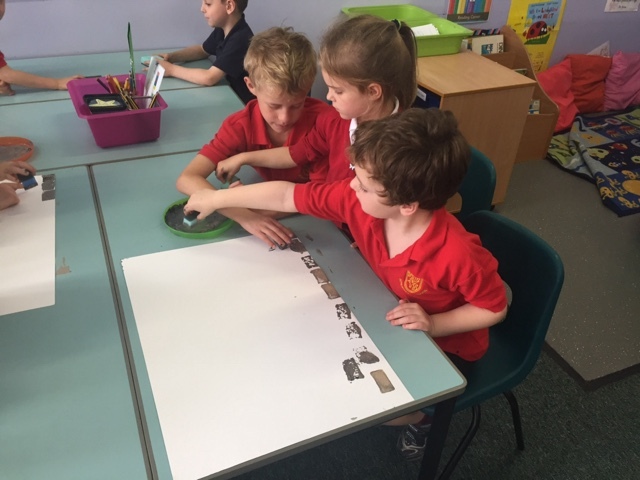 We have been investigating how we can share items equally between groups.